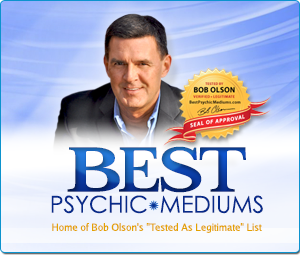 Aren’t Psychics Just A Bunch Of Phony Scam Artists? 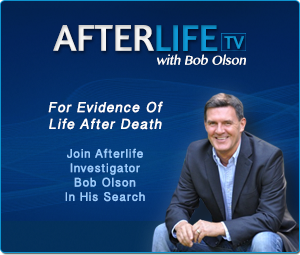 BOB OLSON is a former skeptic and private investigator who has researched evidence of life after death for over 20 years. He now shares the spiritual insights, extraordinary experiences and gifted individuals he has met along his journey in order to bring hope, comfort and peace to the grieving. 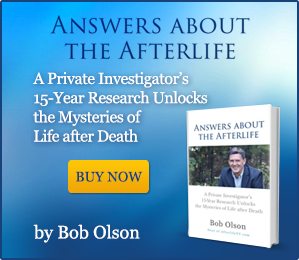 Author of Answers About The Afterlife: A Private Investigator’s 15-Year Research Unlocks The Mysteries Of Life After Death (BobOlson.com), is a former skeptic and private investigator who began investigating evidence of life after death after the passing of his father. This event ignited questions that he never before considered, so he decided to use his skills as a private eye to investigate the afterlife. 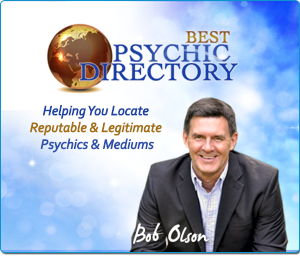 Olson’s expertise in this field led him to create BestPsychicMediums.com, BestPsychicDirectory.com, and AfterlifeTV.com. He is the editor of OfSpirit.com Magazine and GriefAndBelief.com. 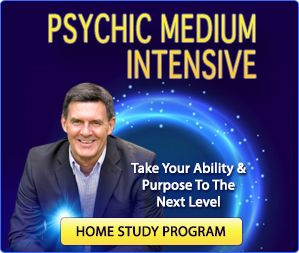 He also has a course for psychic mediums at PsychicMediumWorkshop.com.